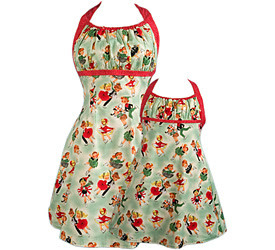 Dolly Dilettante: More Apron News! Love the aprons. I am about to embark on my first apron for a competition at our local fabric shop. I don't think it will be quite that spectacular.